I don't have much to show currently but In the next few weeks/2 months that should change quickly. 1st to spout for the Skunk are some Persian Whites that were gifted to Shadow Wing- Grown out and gifted back to the Skunk. 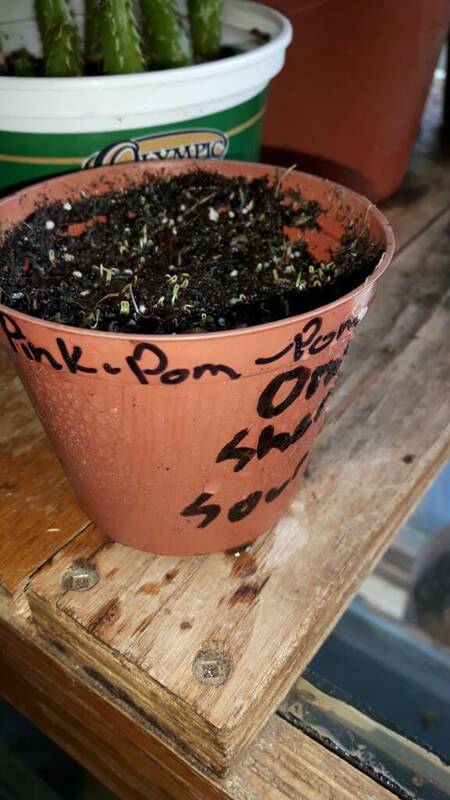 These seeds sprouted in 2 days using a heat mat and Humidity dome. Other kinds the Skunk has Sown. Edited by skunkbudda403, 21 February 2017 - 06:40 PM. I'll be interested to see persian blues. they sound novel! Just peeked in my seed sowing tray. And we have some more life on a few different kinds of Papaver Somniferum, this will be my 1st sowing , I'll do two more sowing as I get closer to spring. I like to be able to have some early blooms on the patio as soon as it's nice enough to enjoy the back deck we get such a short season if you miss your mark you miss summer. Should have lots to show in the next few months. 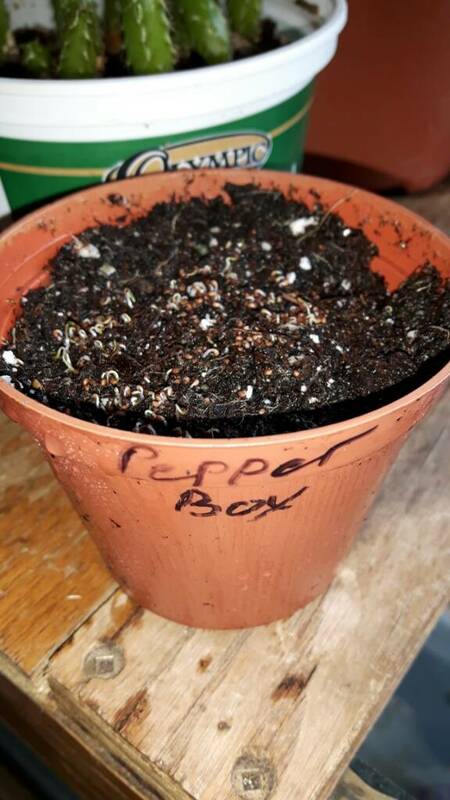 I'll try to share some of my tips for transplanting and dividing the little plants once they get going. Right now they are potted in mini 2 1/2inch pots. 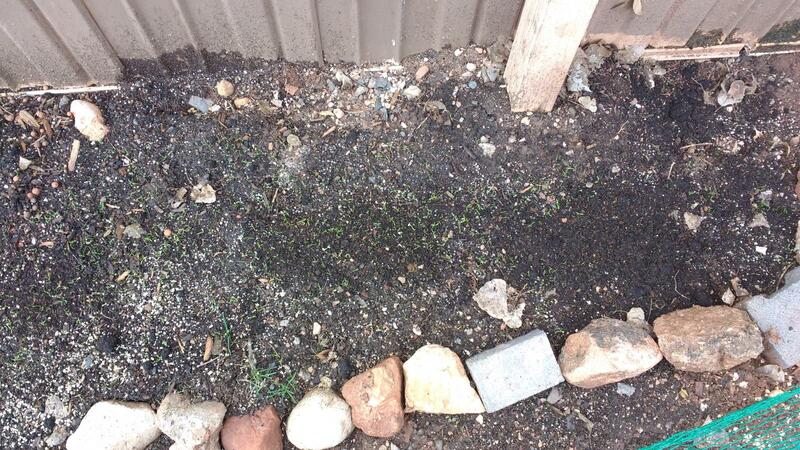 I'll also sow some seeds randomly in my planters and let nature take the reigns. I'm in! 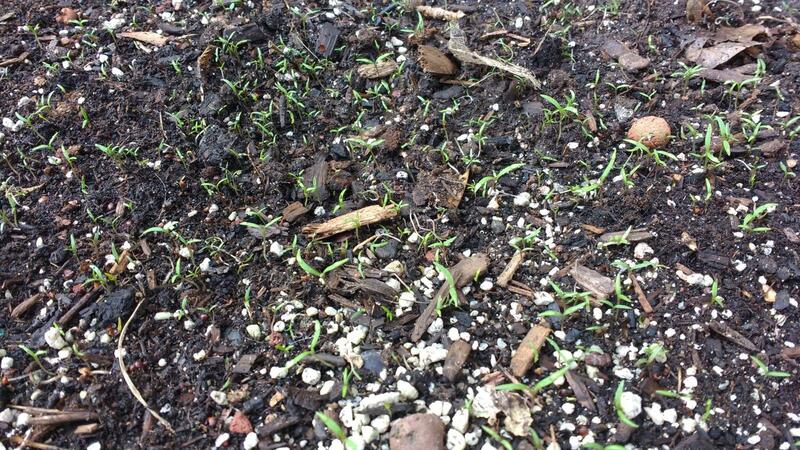 I'll be direct sowing in probably a month or so... I'll definitely participate in this thread. I'm in. I already threw some seed out and it's coming along nicely. Excellent so early on in the season and people already joining in. We should be able to compile lots of useful information for the masses. I'm in for this year. Those tomato cages look like they will keep the plants from falling over. Reason I use the tomato cages is we have 2 pitbulls and their tails are like logs when they are wagging them.. If they walk past them and they are excited I've had them break plant stems and destroy my hard work by accident. The cages offer a small level of protection. I use them on all my plants in high traffic locations. Usually the poppies are strong enough if grown in full sun to hold them self up erect. Even with heavy winds and hail. Edited by skunkbudda403, 22 February 2017 - 10:39 AM. 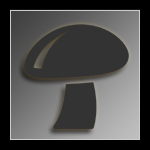 Edited by fungi2bwith, 22 February 2017 - 10:54 AM. Great grow vibes to everyone^^^. We grow poppies every year in our outdoor beds. They do enjoy starting in cooler temps. I'm thinking about growing a few too. 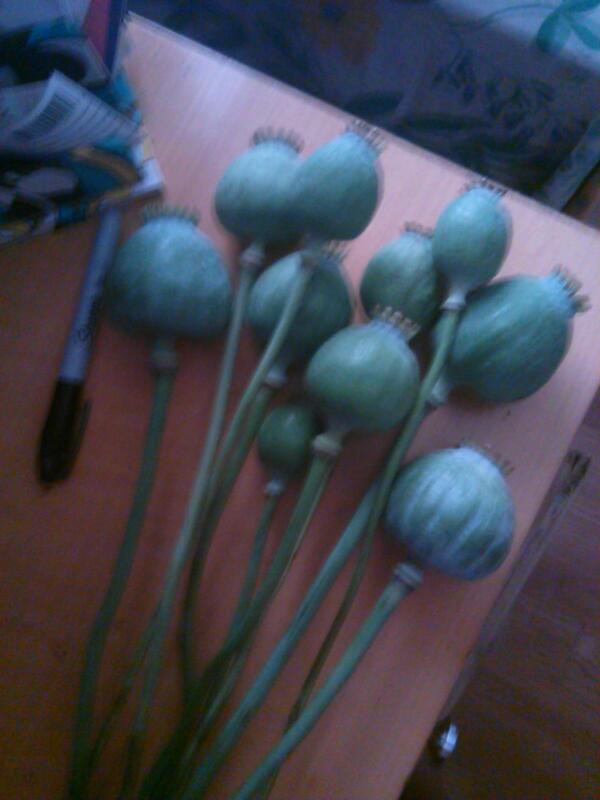 Mostly because my mom likes to use them in bouquets, but also because I'm kind of interested in poppies. What do people do with them? I've read about teas from the seeds, and scratching the pods for raw opium. Is any of those things worth the hassle? I'm curious about what would be the best way to start experimenting with it. If one of you could provide me with some info, or where to look, that would be nice. Good luck on the grow, have some of my karma! 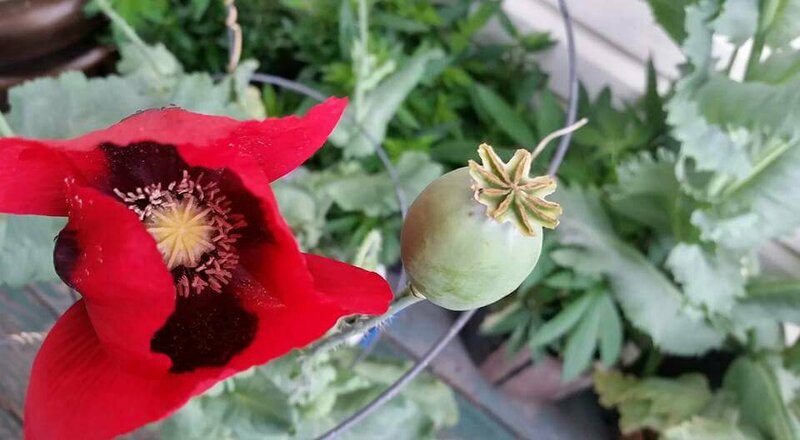 papaver somniferum is the opium poppy, world seed supply is a sponsor and they sell a few types of seed and tons of other places on the net sell them. as far as scratching for latex i didnt find it to be worth the work, but others do. 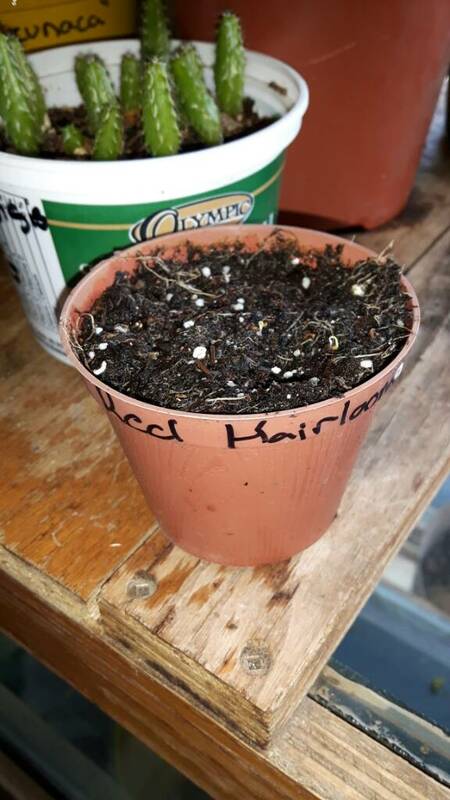 Given that I'm going to start growing some 'difficult' stuff this year (and possibly not very successfully) , I'm also going to grow some stuff that I can just sit back and let the plants do all the work for me... 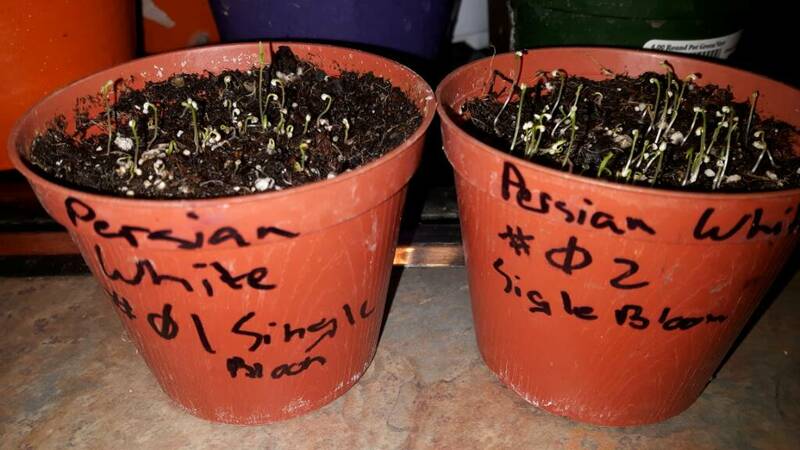 I'm planning on a fair Persian White or two. Love poppies, they seem to thrive on neglect lol. I've found they really require cool nights and sunny days to start. I start them in April or May here (Australia) when the nights are a good 10-15 degrees cooler than the days. A few of the varieties and cultivars, notably the cultivars "Norman" and "Przemko", have low morphine content (less than 1%), and much higher concentrations of other alkaloids. 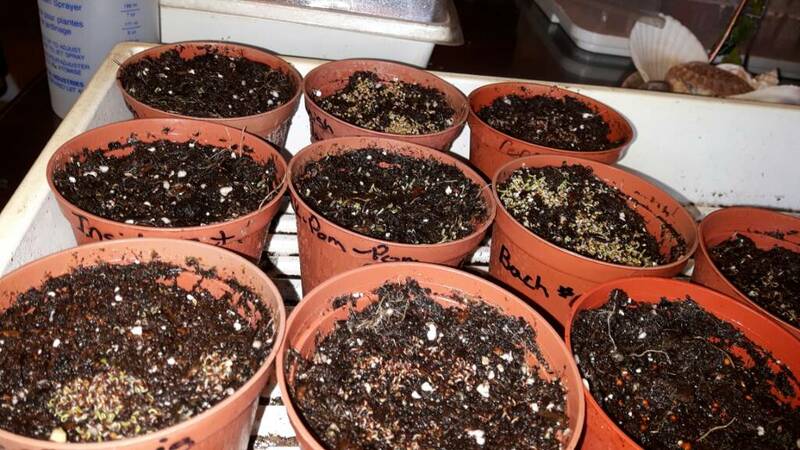 Most varieties, however, including those most popular for ornamental use or seed production, have a higher morphine content, with the average content being 10%. I read that the Hungarian Blue Przemko Breadseed Somniferum is a patened heirloom low morphine poppy. Can anyone suggest poppies that not of the Przemko or Norman varieties. dont take my word for any of this do your own digging, as far as i can tell normans are not out in the general public, there grown in Tasmania, so its those stains and anything that can be miss identified as a tazzy that poses the risk, not 100% sure but i believe its a natural mutation and not gmo so it breeds out. Ive smoked tazzys before long time ago, and im growing them again, if im real worried there are 4 reactant tests that can tell the difference between Morphine, Codeine, and Thebaine. Use your own judgment when consuming! ABC Australia new artical on the Norman poppy. Thanks Pan . 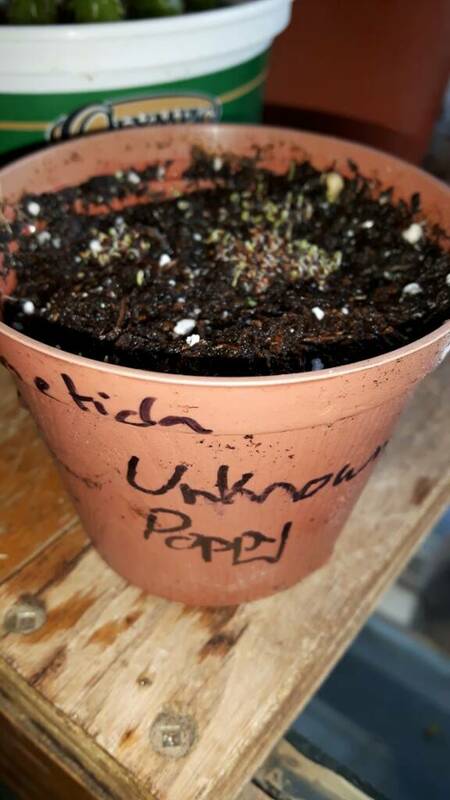 I am wanting to grow the best poppies I can. I found this on the Tasmanium Norman variety. Tasmanian poppies were bred for medicinal rather than recreational use. They contain very little morphine, the precursor to heroin. But they are rich in thebaine, a quite toxic chemical that is used as a starting point to make prescription painkillers. Due to its unique composition, the plant is very valuable to the producers of legitimate medications, and bad news for drug dealers. You could say it’s the bane of junkies (get it?). 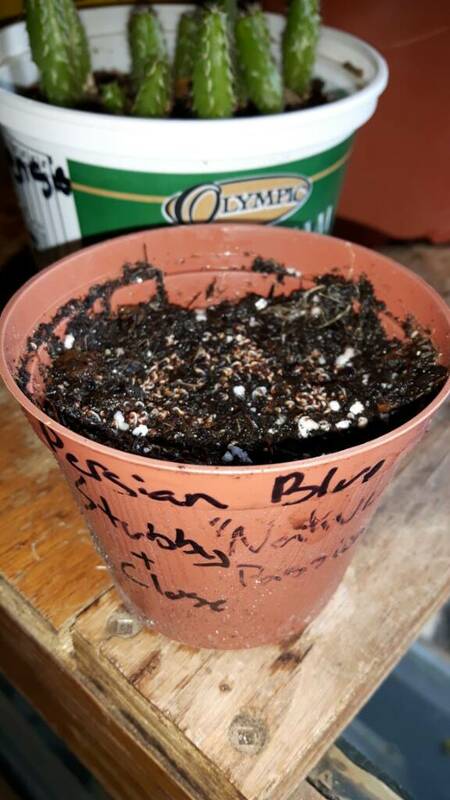 Working in cooperation with Jana Skopec at the Australian government analytical laboratories, Luke Odell and Adam McCluskey made a crude batch of heroin from Papaver somniferum Norman, a type of opium poppy that originated on the southern island. 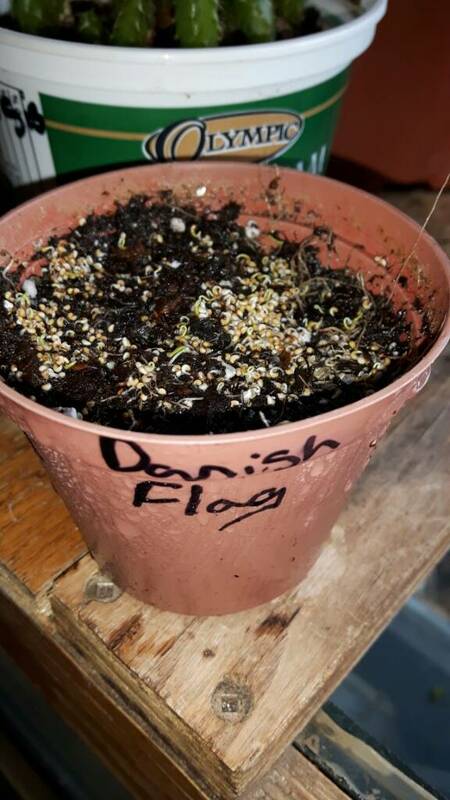 I bought more seeds today but I can't keep buying seeds and growing the low morphine type. not the kind I want. I did email a company that I bought from to ask if the seeds are of the Norman or Przemko type, I am waiting for a reply. Ok peace and thanks for all help, I don't want to freak people out or discourage them. I want us to all be happy with our grows. I found out that seed sellers that say all parts of the poppy plant are poisonous are misleading a person to think that means they are high morphine content, when in reality they are high in thebaine content which is a poison these warning are given to Norman and Przemko varieties, if your cat or dog takes a bite as animals often do ,they might die just as we would from thebaine poisoning not morphine. Mutation breeding has been used to produce low morphine types and extra high morphine types. The high morphine type research was shut down and only high thebaine types were developed. This research could be done at home to develop high morphine types with morphine up to 30 % of the raw latex . Using easy to get mutagens from the autum crocus. This was some of the first useful research done. I am having trouble finding it but I might have it saved in my thousands of files. To be posted . and .5 -1% morphine content of morphine latex aka raw opium. These will make you very sick if you consume them as tea. Edited by Heirloom Spores, 24 February 2017 - 12:03 AM. Yes I've always thought the high thebaine varieties are much more toxic than the high morphine ones. EDIT "All parts are toxic" because alkaloids are found throughout the plant.What they are not telling you is the concentrations of the different alkaloids. The leaves are useless, the seeds next to useless, and the Inner Beauty is in the top of the stem and the ovary wall. Edited by scott_1971_h, 24 February 2017 - 02:51 AM.